$100 min. order for delivery. Thank you St. Croix, we appreciate your business! Quality Food St Croix is a full service distribution company serving restaurants, hotels & resorts and small businesses. We have a team approach to serving our customers and offer thousands of competitively priced products. We are the largest purveyor of local produce on the island. We strive to earn your long term business by delivering value and services that drive greater profits to your bottomline. 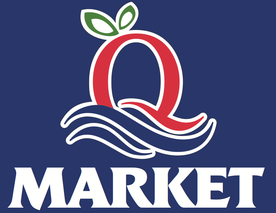 The Q Market is a retail cash & carry market selling to customers seeking high quality local and organic produce, healthy groceries and supplies at wholesale prices. The market is open Monday to Friday 9am to 4pm and Saturdays 9am to 1pm. We're trusted chandlers to ships from all over the world calling on the Limetree Bay Terminal and the Ann E. Abramson Terminal here on St. Croix, U.S Virgin Islands. We stock a broad line of fresh produce, meats, seafood, provisions and stores - all available for dockside delivery.